Recently the Lusaka Commissioner Solomon Jere announced that 500 Reserve Police officers in Lusaka to be retired starting from the top most senior staff in the rank and file. This has brought a lot of fear among the reserve wing who have not committed any offence or incompetence to be subjected to retirement this time around. The Reserve wing works more than a regular in certain instances , they put there fuel, patrol throughout the night to bring sanity without pay. It is believed that the PF government wants to recruit 500 cadres to replace the retired and will be spread around the Police Stations and the government wants to pass a law that would allow the Reserve wing to be on pay roll monthly as a way to give jobs to the PF cadres and make a Police state. 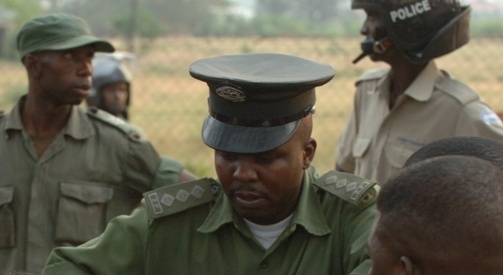 The Police Officer in Charge at Kabwata, Woodlands, Emmasdale have been earmarked for transfer and retirement. This is a warning to all Political parties that things will not be easy for them. The PF government is in a hurry to cage anyone opposing its rule. I sympathize with Solomon Jere, a Man of God, Chaplain , renowned gospel singer who is being used to arrest anyone even when he knows that the people he is pursuing are innocent. My advise to him is to relax and refuse to be dragged into problems. He should learn from Dr.Malama and others who saved the Police with dignity.